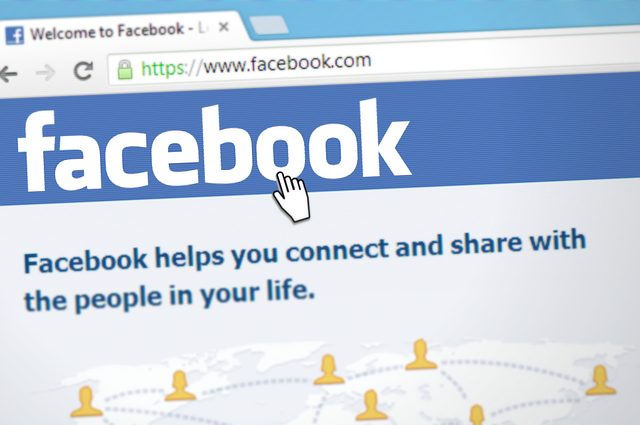 How to Fine-Tune Your Facebook Ad Preferences | Reshift Media Inc. According to a new PEW Research Centre study, 74% of Facebook users surveyed are unaware that Facebook has a page that allows them to review and update your ad preferences. This page can be very useful as it allows you to view the categories Facebook has placed you into when making ad suggestions and gives you the power to make any adjustments. By choosing the categories that best interest you and making changes based on your preferences, Facebook can deliver the most relevant content and recommendations, providing you with a a better overall Facebook experience. Getting There: Click the downward pointing arrow on the top far-right of your homepage, then select “Settings” in the drop-down menu. Your Interests: You will then be brought to a “Your Ad Preferences” page. Let’s start by clicking “Your Interests.” This aspect of ad preferences allows you to choose what topics interest you by categories such as travel, places, and events, business and industry, news and entertainment, shopping and fashion, etc. You can even see example of ads from each category. This helps provide assurance in your selections, so feel free to select as many that applies to you! Advertisers: The next feature in ad preferences is “Advertisers.” This feature allows you to view advertisers that run ads using a contact list they or their partner uploaded which includes information about you. This means the advertiser has collected info about you (with your permission), whether it be through past online purchases or email subscriptions that included an opt-in about marketing. The limited information collected is typically your email address or phone number. The next section displays advertisers whose website or apps you have used which contain Facebook technology to track these usages. You can also see advertisers you have visited online, the advertisers whose ads you have clicked and the advertisers whose ads you have previously hidden. Your Information: Facebook uses the information you provide on your Facebook profile to make sure you are seeing the most relevant ads. In this tab, you can manage which information you would prefer to be accessed by using the switches on the right hand of the screen. In the next section, you will see various categories that you have been added to based on your Facebook and web activity. This helps Facebook serve you ads that are most aligned to your interests. By moving your cursor over these categories, you can see what kind of interest someone in this category might have. It also gives you the option to remove a category that may not be relevant to you. Ad Settings: The first tab in the “Ad Settings” section is “Ads based on data from partners.” This means data is collected (with your permission) when you use websites and apps for various interactions, such as purchases or even just browsing through their online store. For example, you may see ads for flight deals if you have been recently looking at travel websites. Or if you purchase a coat, you may see ads for other outerwear by the same brand. Facebook does not sell your data, nor do they tell advertisers who you are. This data is only used within the Facebook platform. If you do not allow Facebook to use this data for ads, the same number of ads will still be promoted to you, but they will be based on other factors. Next, we have “Ads based on your activity on Facebook Company Products that you see elsewhere.” For those who are unfamiliar, Facebook Company Products are other properties affiliated with Facebook, including WhatsApp, Oculus, Instagram and Messenger. When you use these products, data is collected based on your activity so that only the most relevant and useful products, services and causes are promoted to you. If you choose to not allow Facebook to use this data, you will still see ads but they won’t be as relevant to your interests. Instead, these ads will be targeted to you based on other information such as age, gender, location, content in the app/website you’re using, etc. The final section in this tab is “Ads that include your social actions.” This means that Facebook shows ads to your friends based on your actions, such as liking a Page or sharing a post. Content you like, follow, comment on, share, apps used, check-in, recommendations and events you join may be used in this setting to appear on ads your friends see. These ads are only visible to those who have permission to see what actions you have taken. You have the option to choose whether your friends see this or no one does. Hide Ad Topics: In this section you are able to choose any sensitive topics (such as alcohol-related content) you would like to hide, either temporarily or permanently. Although you may still see a few ads containing this topic, the ads you see will be improved based on your input. On the right-hand side, you can use the switches to choose whether you would like to hide this topic for 6 months, 1 year or permanently. Keep in mind that the number of ads you see will not change. How Facebook Ads Work: For more information on Facebook ads and how they operate, you can click on the link in this tab. When fine-tuning your ad preferences, keep in mind that it won’t necessarily change the total number of ads that you see but rather it is meant to increase the relevance of the types of ads that are served to you. This is a great tool to allow you to be more in control over what is promoted to you and to minimize ads that are not relevant to your interests. Chantel is a social media intern currently studying at Sheridan College in Mississauga, Ontario.